Neil Bingham is an independent writer on architecture and contemporary culture, based in London and North America. From 1985 to 2003 he was a curator of prints and drawings at the Royal Institute of British Architects, London. 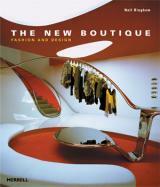 His publications include the highly successful book Modern Retro: Living with Mid-Century Modern Style (2000).